Absorption: There are several types of levels of incontinence that can occur as a result of many factors in both men and women. Finding the right incontinence product depends on the level of absorption and coverage that you need for your circumstance. With light incontinence, a guard or incontinence pad may be sufficient, whereas for moderate or heavy incontinence, you may need protective underwear or a fitted brief. Most products highlight the level of absorbency but it may take trying the product to identify if it’s the right fit for your need. Daily Use: Is the incontinence product being used during the day or over night? In some instances, people who need incontinence products may need a product with light absorbency in the day, when they can reach a bathroom, and a product with more absorbency over night, when they cannot. Activity Level: Is the incontinence product being used by a person who is quite active or someone with limited mobility? If the incontinence product is being used by someone who is quite active, choosing something flexible and absorbent, while also being “low profile” or well fitted, maybe the optimal choice. If the product is being used by a person with limited mobility, easy removal for caregivers is a key feature. Sizing: Sizing and placement of the right product is critical for people managing incontinence. Most incontinence products provide measurements so that users can accurately gauge the size of the product for fit and comfort. Many products now fit like traditional underwear, or fit beneath underwear for discreet protection. Odor Control: There are incontinence products available with and without odor control. Cost: Some incontinence products are more expensive than others. Rather than buying solely based on cost, it’s better to find the product that fits you the best and offers the best protection. Additional Supplies: When managing incontinence, it’s important to consider more than just daily protection. Finding incontinence products that wick moisture away from the skin is the first step. Skin care is also critical for people managing incontinence, including wipes, cleansers (like perineal cleansers) and skin conditioners. When skin is consistently exposed to moisture, it becomes very delicate and needs to be cared for to avoid infection. 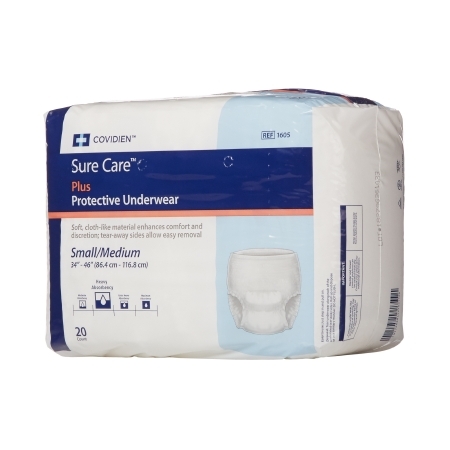 Incontinence liners are generally used for moderate and light incontinence. They come in varied levels of absorbency and lengths and are usually used with, and held in place by, absorbent briefs or protective underwear. 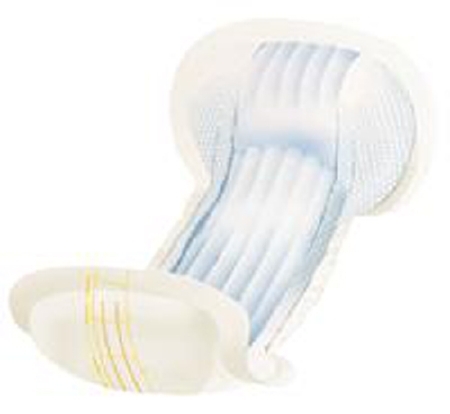 There are optionswith or without adhesives to keep the incontinence liners in place. 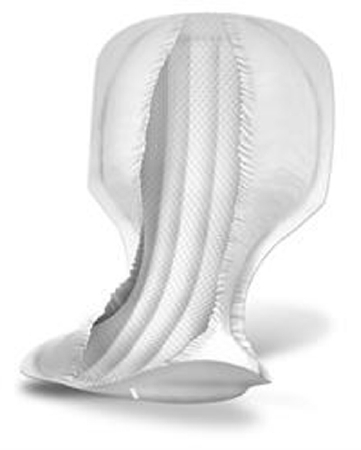 Incontinence pads are primarily designed to provide discrete protection from moderate or light incontinence. They are often worn with regular underwear or with reusable incontinent briefs. Pads come in a variety of absorbencies and are designed to protect the skin from moisture. Pads come with and without adhesive. Incontinence guards are often gender specific for men. These absorbent, contoured incontinence pads are often grouped with liners and pads as they are also secured in underwear or reusable incontinence briefs and are used for light to moderate incontinence protection. 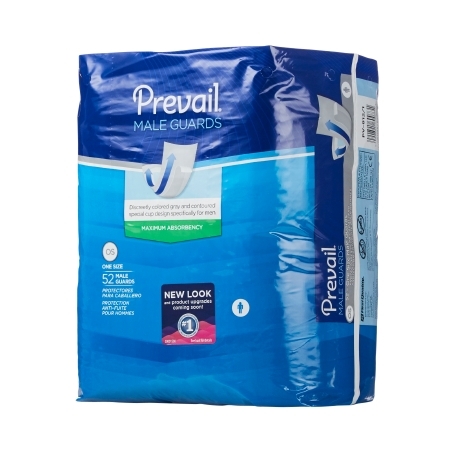 Guards are contoured to the male anatomy to provide improved incontinence protection. Belted shields are usually pads or liners with the added feature of an adjustable belt for improved security and positioning. Offered in a varied absorbencies, they can be used for light to moderate incontinence. Belted shields can be worn beneath regular underwear and are typically a little less bulky than protective underwear. They are also easy to remove and change. Some brands offer pants "systems" which are comprised of reusable underwear that holds a disposable incontinence pad designed for moderate or heavy incontinence protection. The pads are specifically designed for these systems but are often sold separately. Protective incontinence underwear is a one piece garment using elastic for easy pull on and off. These are also referred to as pull ups. 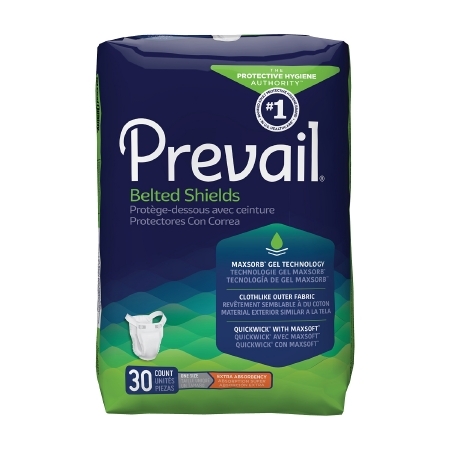 Protective underwear offers various levels of absorbency to meet the needs of moderate to heavy incontinence. They are used for both day and night and some brands incorporate odor control elements. Fitted incontinence briefs are generally used for moderate to heavy incontinence and are sometimes referred to as adult diapers. These are one piece garments that come with and without elasticized legs, with waistbands that are adjustable with adhesive, elastic or hook and loop closures. Fitted briefs are also available with outer materials of cloth or plastic for added protection. This content is provided for informational purposes only. SimplyMedical.com has not verified the accuracy of the information contained in this article, which is presented on an “as is” basis. It is not a substitute for professional medical advice, examination, diagnosis or treatment. Always seek the advice of your physician or other qualified health professional before starting any new treatment or vigorous physical activity or making any changes to existing treatment or activities. Do not delay seeking or otherwise disregard medical advice based on the content presented here.The product information contained in this document, including the product images and additional product materials, was collected from various supplier sources. All product claims and specifications are those of the product suppliers and have not been independently verified by Simply Medical. Simply Medical is not responsible for errors or omissions in the product information. The properties of a product may change or be inaccurate following the posting or printing of the product information in the document, either in the print or online version. Caution should be exercised when using or purchasing any products from Simply Medical’s online or print documents by closely examining the product packaging and the labeling prior to use. Due to product changes, information listed in this document is subject to change without notice. This information is placed solely for your convenience in ordering and Simply Medical disclaims all responsibility for its completeness and accuracy, whether or not the inaccuracy or incompleteness is due to fault or error by Simply Medical. All trademarks and registered trademarks are the property of their respective owners. © 2018 SimplyMedical.com. All Rights Reserved.